Go Exploring on an Adventure of Discovery! 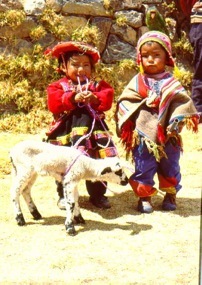 Educational, natural history and cultural tours since 1992.
explores the Sacred Valley of the Inca, Cuzco, and includes overnight at magnificent Machu Picchu. 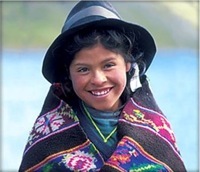 The 8-day, cultural adventure offers a great introduction to the colorful Andean peoples, their archaeology, history, environment, cuisine, and handicrafts. with overnights in remote and exotic lodges! 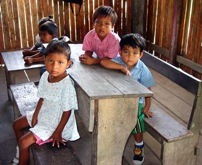 With expert guides, you travel over 300 miles on the Amazon River and its tributaries. Includes stay at Ceiba Tops Resort and the ACTS field station where you will experience the world’s longest Treetop Canopy Walkway! The premier rainforest lodges provide a relaxing base for excellent birding and wildlife viewing. We have packages and custom design travel for other great destinations in Peru such as Tambopata, Lake Titikaka, Nazca Lines, Nasca, Paracas, and the Ballestas Islands. Plus, we customize stays and itineraries in Lima, Trujillo, Chiclayo, Arequipa, Colca Canyon, and more. Explore the culture and history of this Caribbean Island of renown by land and sea. Now open to all USA Citizens on People-to-People tours and cruise programs with flights from Miami - including private Cuba tours for groups. The 8-days, small ship cruise explores the Nature National Park of Manuel Antonio, the Darrien Jungle, and the Pearl and Negritas islands. Each day you will discover a new port of call, a hidden cove with crystal blue waters to cool you, and rich flora and fauna diversity to intrigue you. Explore the biodiversity, culture, and varied geography of this beautiful Central America country. We provide travel packages and custom travel for private groups to the Mundo Maya (World of the Maya) in Mexico, Guatemala, Belize and Honduras that focus on the diverse ecosystems, archaeology, colonial history, and living cultures. We custom design culinary tours in Peru, Mexico, and Central America. Because change is a constant in travel, we do not post pricing and departure dates for all of our tours. You are welcome to contact us and request more information for particular tours and inquire about availability. Many of our tours are custom itineraries with private guide service and may be operated most anytime. You are welcome to call us anytime at 1-800-446-9660, 1-239-992-9660, or email us at CONTACT. Thank you for the interest in our adventures of personal discovery!